Denis MacShane is the former UK Minister of Europe and author of Brexit, No Exit. Why (in the End) Britain Won’t Leave Europe (IB Tauris). Is Brexit is in danger of becoming a modern version of the “Irish Question” in the 19th and early 20th-century British politics? The agreement announced in Brussels opens the vista of Brexiternity – the question of what the UK’s relationship with the rest of Europe going on for years and years without any final or satisfactory resolution. The hopes of both pro- and anti-Brexit camps that there would be either a complete separation from Europe or, alternatively, a second referendum to reverse Brexit have proved false. Instead, Brexit will hang around the neck of politics and the economy well into the next decade. Theresa May has shown her true colours as a Brexit Fabian in the sense of wanting to delay and procrastinate and avoid ever having to give final battle on the question of Brexit. She pulled key anti-Europeans into her cabinet in the summer of 2016 and added more after the flop of the 2017 general election. They are now all bound together in agreeing to accept all the EU conditions in order to buy a little time up to January 2021. The idea of a collapse of the government over Brexit was always far-fetched. The MPs who held or won their seats in June 2017 are going to sit out this parliament until 2022. Four years after the Brexit vote, Britain will still be in the EU in all material ways. Brexit should always be seen as a plural not singular concept. There are many Brexits, not one. The UK can leave the political EU next spring in the sense of a British prime minister and other ministers no longer taking part in the policy decisions that decide Europe’s main economic, trade, fiscal and foreign policy direction of travel. No more MEPs will be elected and the suggestions of the UK House of Commons Brexit Select Committee that somehow the Article 50 talks could be prolonged were never realistic, as staying an EU member after April next year would have meant European Parliament elections being held in May 2019 – which would have been unacceptable to most MPs and party machines. 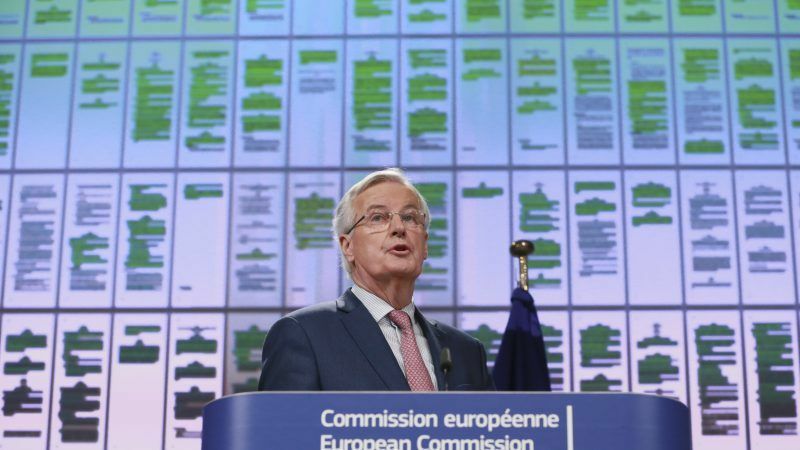 There won’t be a UK commissioner but at 28, the European Commission is far too large and unwieldy. President Macron has called for the Commission to be halved in size as part of his proposals to relaunch the EU. But for the rest, the UK becomes Norway plus for 20 months. The plus is that the UK stays in the Customs Union, unlike Norway. So despite the premature jubilation in City and CBI circles that the agreement between Michel Barnier and David Davis provides the certainty the opposite is the case. It was never likely that a No Deal or Crash Out Brexit would happen next spring. The business of the Tory Party for three centuries has been business and buying a little time is what business wants as it works out what the British economy really needs. There will be a few more details to be fleshed out, notably on Ireland, before the final withdrawal treaty is drafted in precise legal language by October. It can then be examined by EU27 governments and ratified by the House of Commons and European Parliament before the UK leaves the EU Treaty organisation on 29 March 2019. The hopes that there would be a dramatic vote on the “final” deal were always illusory as there will be no final deal but rather the age-old Brussels sound of a can being kicked down the road. Instead, Britain’s two main parties are going to have to face up to decisions they have so far avoided. Do they want to leave the Customs Union and see border queues, an end to just-in-time deliveries, and millions of new customs declarations and thousands of new customs bureaucrats hired to police all this? Do they want to leave the Single Market and the right of the City and the other UK service sector firms to trade anywhere in the EU with its 450 million middle-class consumers? Do they want to create parallel aviation safety, chemical and medicines agencies at massive cost while losing all say and influence in future EU regulations which British firms will have, in any event, to comply with to fly or sell into Europe? Will the UK set up a massive immigration bureaucracy with work, resident, entry, and travel permits and visas for fellow Europeans to live and work amongst us? None of the political parties have so far answered these questions. The Brussels agreement solves none of these problems after January 2021. A Brexiternity beckons for the years ahead, well past the next general election, as political, economic and policy shapers will debate and disagree on what kind of Brexit the UK wants and needs.